Whilst it is certainly true to say that the beaches and nightclubs of Ibiza make up an integral part of the island's main attractions, there is certainly much more to this Balearic island than simply sun, sand and partying. 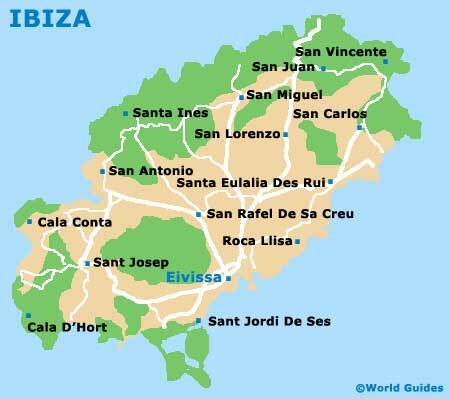 Particularly notable tourist attractions on Ibiza include the Cova d'es Culleram and its fascinating history, the numerous restaurants and shops lining the Paseo Vara de Rey, and Ponylandia (Ponyland), which is very much aimed at young children. Tourists may also like to check out the small cluster of houses that make up the Poblado de Balàfia village, and also the rather dramatic Es Vedrá Rock - a small island lying approximately 2 km / 1.5 miles off the western coastline of Ibiza, which has become an important nature reserve and known for its high concentration of minerals. 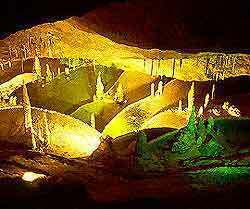 The famous Cova d'es Culleram was discovered in 1907. This large cave was a temple to the goddess Tanoit during the days of the Cathaginian rulers and is located in the San Vicente area of Ibiza. The many treasures that were unearthed in the caves are exhibited in the Museu Arqueologic at Dalt Vila. The Cova d'es Culleram can be easily reached by car, and then by foot, and is well signposted. Featuring many excellent bars and restaurants, the Paseo Vara de Rey is a popular place on Ibiza, particularly in the evenings. This avenue is a major landmark in its own right and also features many shops, including designer clothes outlets and beach accessories. This lively area is always busy and is an exciting place to hang out. Ponyland is a perfect attraction for children on the island and is home to a number of friendly ponies that can be ridden by young children. Nearby there is also a flea-market, with many interesting items include jewellery, vases, handicrafts and general bric-a-brac. Standing almost 400 metres above the sea, Es Vedrá Rock is a memorable attraction on Ibiza. The rock takes on an almost magical appearance at sunset and was once the home to a hermit, who lived on the rock for several years. Boats rides are available, allowing a closer look at this beautiful, natural phenomenon and other rocky isles nearby. This tiny village consists of five private houses located in the San Lorenzo area. The historic houses, featuring traditional architecture and defence towers, can be reached by bus and are highly regarded throughout the island.